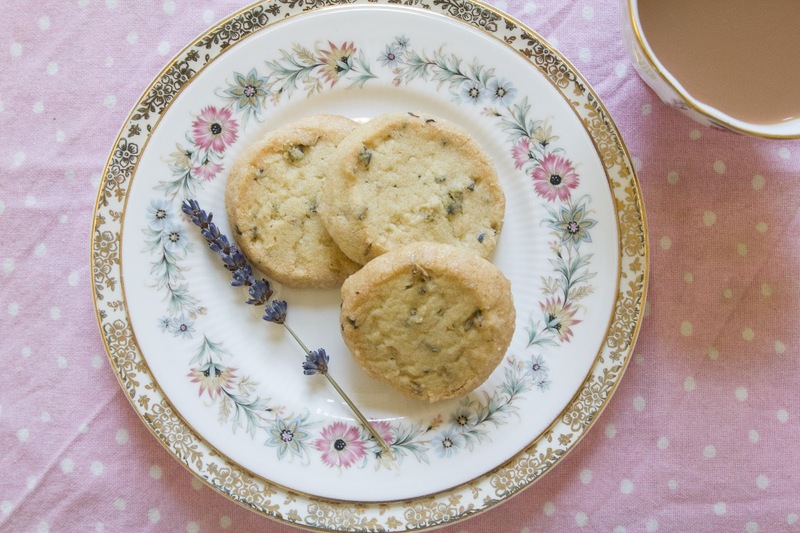 I am the biggest fan of all things Lavender, so when I discovered Mary Berry's simple recipe for Lavender biscuits I couldn't wait to gather the ingredients together. I also mentioned in a recent Tea Review about being sent some wonderful treats from Steenbergs. A little jar of lovely Organic Lavender Sugar was amongst the many treats. I decided that the Bank Holiday weekend was the perfect time to try some and get baking. Line baking trays with baking parchment. 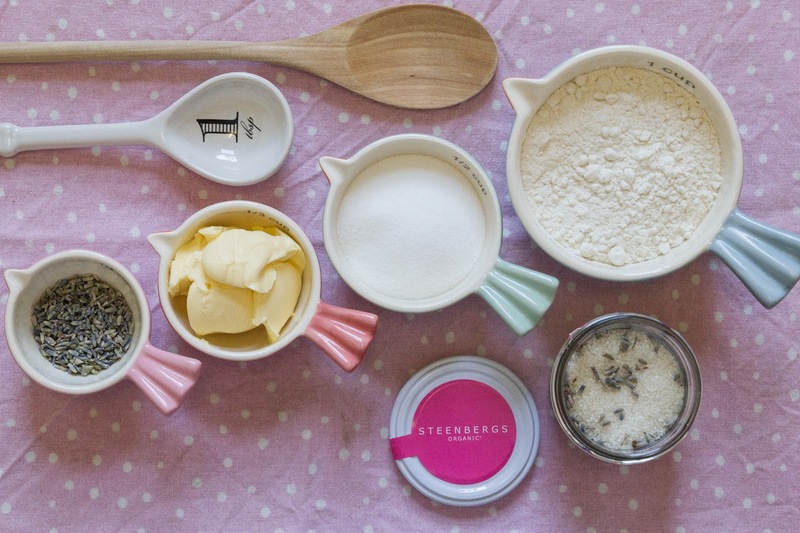 add the softened butter and lavender into a large mixing bowl (This will obtain the maximum flavour from the lavender). Beat the caster sugar into the butter and lavender and then stir in the flour, bringing the mixture together with your hands and kneading lightly until smooth. Divide the mixture in half and roll out to form two sausage shapes 15cm (6in) long. Roll the biscuit "sausages" in the lavender sugar until evenly coated. Wrap in baking parchment or foil and chill until firm. Pre-heat the oven to 160C/Gas Mark 3. Cut each "sausage" into about 10 slices and put them on the prepared baking trays, allowing a little room for them to spread. Bake them in the pre-heated oven for 15-20 minutes, until pale golden brown at the edges. Lift them off the trays with a palette knife or spatula and leave on a wire rack to cool. 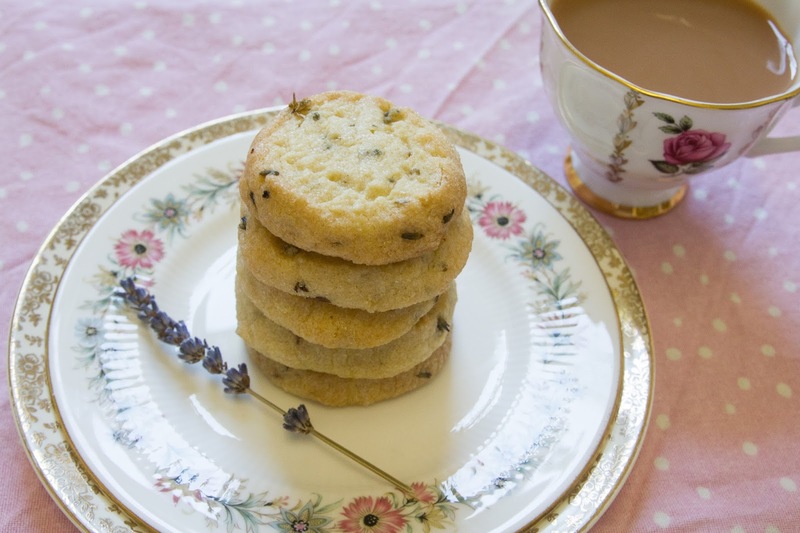 Then simply place on a vintage floral plate and put the kettle on, make yourself a cup of tea and enjoy. 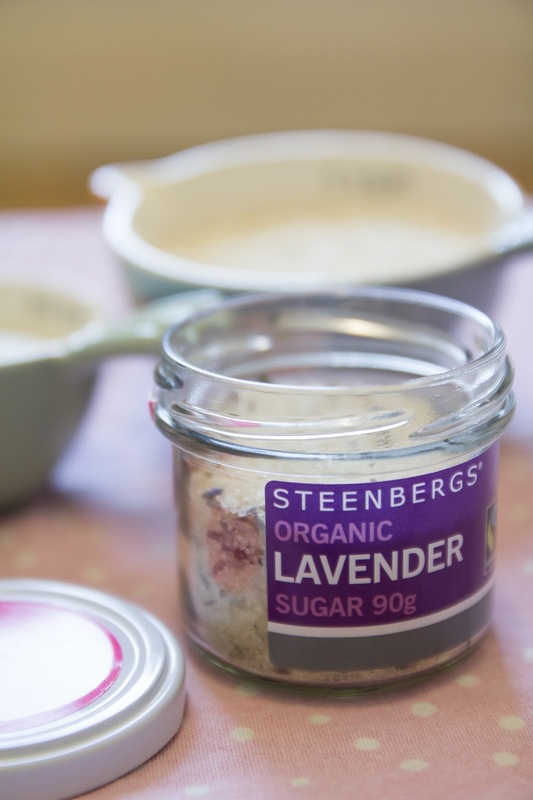 You can buy a jar of edible Organic Lavender from Steenbergs as well as their tasty Organic Lavender Sugar. I think next time I will bake something with Lemon to mix with Lavender Sugar, they complement eachother quite perfectly. What do you think? I do love your little birdy measuring cups. Where are they from? Mmmm they look and sound delish. I've never cooked with Lavender before, I'll have to give these a go. I'm quite partial to floral flavoured things. Rose Tea, Jasmine Tea, Turkish Delight, Parma Violets..... I love Parma Violets. I still need to make these, Charlotte :) haha! They look gorgeous! 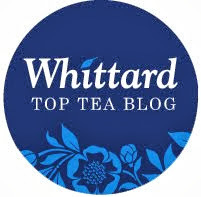 Love your blog too, your pictures are beautifully taken! These look delicious. I've been wondering what to do with the lavender sugar I have in the cupboard.